Mission Statement: Our Tribal people seek to sustain the pride, honor respect and distinction that is our traditional way. Through art, singing, ceremonies, hunting, fishing, gathering, trade and traditional medicine, we celebrate the individual skills and talents which have made us the people we are today. It is our objective that our lives and our work be significant and will add to the well-being of the entire Tribe. We trust this will bring about a revival of our culture. Purpose: As Tribal people, we have two priceless natural resources; our elders "our history" and our children "our future". It is the privilege and duty of our people to ensure that the elders and the children are honored and cared for. Fuel Assistance: In order to receive this service, members must complete and sign a Culture Fund Voucher Contract prior to receiving fuel and then obtain an authorization signature at the dance location. Members may download and print the Culture Fund Voucher Contract from the link below. 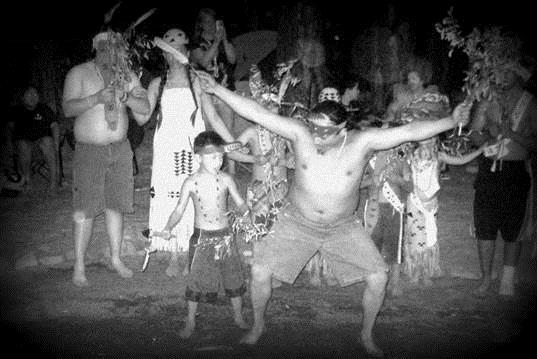 The total Fuel Assistance will not exceed $55.00 for Ceremonial Dances located at Hupa, Witchpec, Sregon, Orleans or the Somes Bar Area. 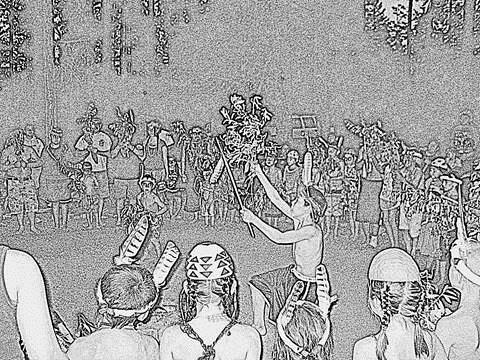 The total Fuel Assistance will not exceed $85.00 for Ceremonial Dances located at Sumeg and Klamath Areas. The total Fuel Assistance given to individuals traveling less than 50 miles to a dance will not exceed $30.00. Individuals may not use Culture Funds to purchase equipment or materials for personal use. Individuals will receive Fuel Assistance based on the location of the Gathering Site. Individuals may only apply once per item gathered; Elders may apply twice per item gathered. Assistance for Personal Trips requires a two-day notice. Culture Funds do not provide food assistance for Personal Trips. Individuals will receive both Fuel and Food Assistance and these expenses will be fully funded if all materials are for Quartz Valley Indian Reservation. Assistance for QVIR Trips require a five-day notice. We believe that the Creator is with us in everything we do and to maintain this relationship we strive to achieve physical, mental and spiritual health; as a way to always remember who we are and why we are here.